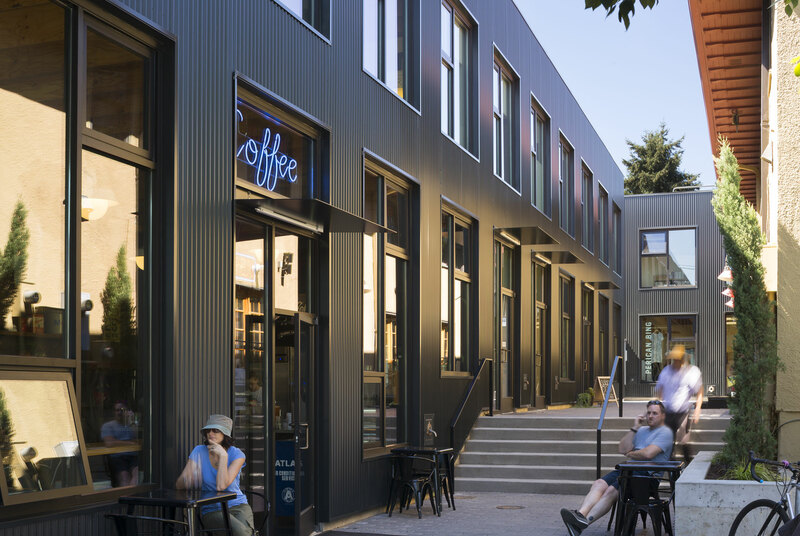 We're incredibly honored to announce Waechter Architecture took home two awards at the 2018 AIA Northwest and Pacific Region Design Awards! Held this year in Honolulu, Hawaii, these regional awards include entries from Alaska, Guam/Micronesia, Hawaii, Idaho, Montana, Oregon and Washington. Both projects - Milwaukie Way and Furioso Vineyards - won the top Honor Awards. Milwaukie Way: The space between the buildings feels just right. Nice proportions. Provides an Important dialogue with the historic building. 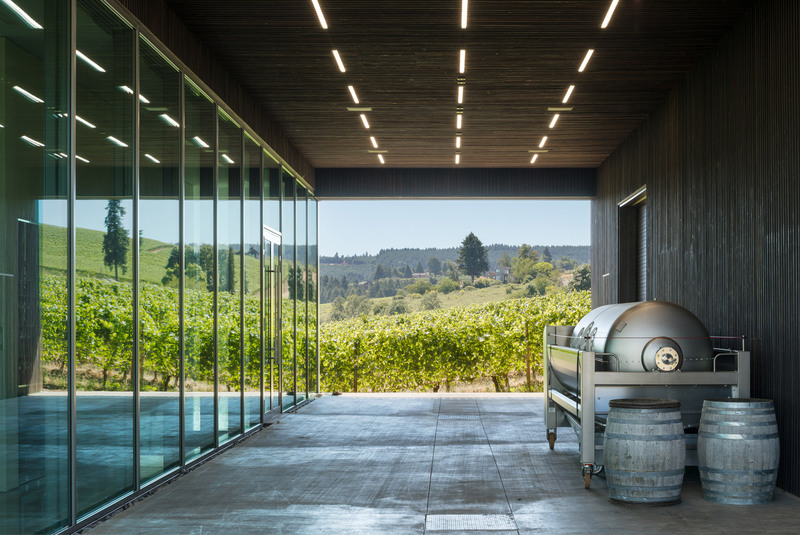 Furioso Vineyards: The building is elegant. The intentional “lid” brings ceiling down to take advantage of the exceptional views. A beautiful project. Jurors for this year’s design awards included: Marlon Blackwell, FAIA, Fayetteville, Arkansas, Roberto de Leon, Louisville, Kentucky and Allison Williams, FAIA, San Francisco, California. A big congratulations to all of the other award winners! 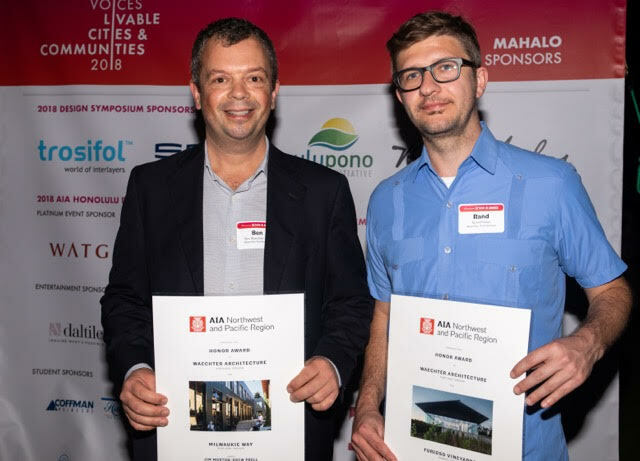 Further details about all of the winning projects: AIA NW and Pacific Region.